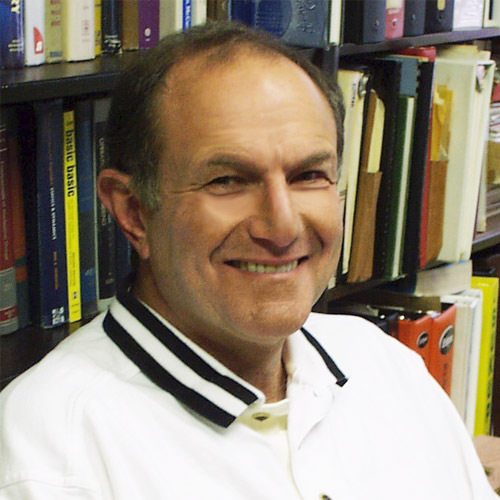 Dr. A. Robert Rubin served the department since 1978. He was first appointed as an extension specialist and progressed through the ranks to become to professor in 1996. Rubin has conducted one of the most dynamic and far reaching programs in wastewater management and biosolids recovery/disposal in the United States. His innovative technology transfer efforts, aimed at training operational personnel, regulators, and government officials, were second to none and extremely well attended. Rubin provided national leadership in the critically important areas of rural water quality and wastewater management, as evidenced by his invitation to address Congressional committees that deal with those problems throughout the U. S. His work in this area is so widely known he was asked to give the keynote speech at the 2007 International Water Congress in Spain. This conference was focused on sanitation for small communities and was a prelude to the 2008 International Year of Sanitation. In his retirement Rubin plans to continue consulting and will be a visiting scientist with the USEPA . June of 2003, Dr. Rubin was presented the “Bronze Medal for Commendable Service” by the United States Environmental Protection Agency. This was a very deserved and fitting honor for an individual who devoted his professional career to enhancing the performance and reliability of wastewater treatment systems. Rubin, A. R. (2002), BioCycle, 43(1), 66-. Rubin, A. R., & Cogger, C. G. (1982), In Proceedings of the Third National Symposium on Individual and Small Community Sewage Treatment : December 14-15, 1981, the Palmer House, Chicago, Illinois (p. 170). St. Joseph, Mich.: American Society of Agricultural Engineers.